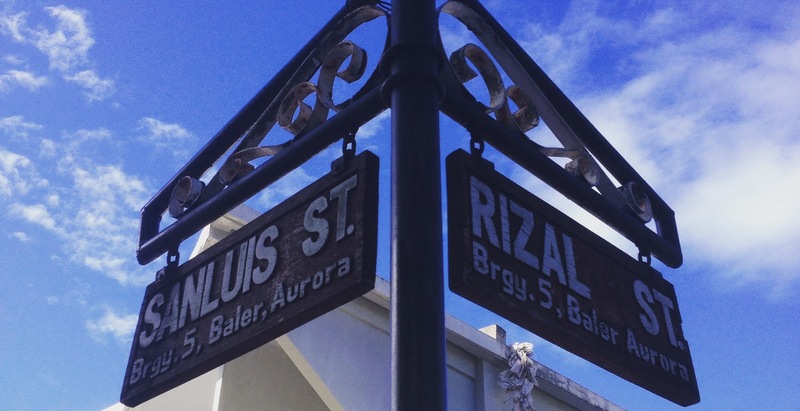 Baler, the capital town of Aurora Province is somewhat 230 Kilometers away Northeast of Manila. This hidden paradise is nestled within the Sierra Madre Mountain Range, making its terrain very rough, ragged, and varied. It is now becoming an up-and-coming tourist destination primarily because of its surfable shores (from July – February) and because it is the birthplace of the late president Manuel L. Quezon. As of my knowledge, there are three places where you can go and will lead you to Baler, the capital town of Aurora, namely: from Manila, from Baguio, and from Cabanatuan. Genesis Bus Line offers daily air-conditioned trips to Baler in their Cubao Main Terminal located at 704 EDSA corner New York Street, Brgy. E. Rodriguez Sr., Cubao, Quezon City. Their first trip is at 3:00 a.m. and their last trip is at 7:30 a.m., with an hourly interval. Travel time is estimated to last for 5-6 hours. Fare costs around PhP 450-550, with 20% discount to students, PWDs, and senior citizens with valid IDs. 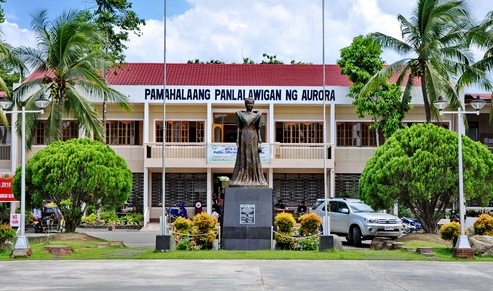 They also have trips to Casiguran, Aurora, in the same terminal. They only offer two daily trips, their first trip is at 1:00 am and last trip is at 3:00 a.m. with an estimated travel time of 7-8 hours. If you want to have that extra luxury, JoyBus Deluxe Buses, a subsidiary bus line of Genesis Bus Line, also offers Deluxe trips going to Baler. Their services include providing its guests blankets, pillows, and snacks. They also have a stewardess to assist them inside the bus. The bus is also equipped with a comfort room and the trip is non-stop. Its buses are also located in the same terminal as Genesis Bus Line. Its first trip is at 12:30 a.m. with an hourly interval, and its last trip is at 5:30 a.m. (No 3:30 and 4:30 a.m. schedule). Fare is pegged at around PhP 700-750 (no student and senior citizen discount) and it only takes 4-5 hours to reach Baler. When going back to Manila, Genesis Bus Line has trips going to Pasay (located at 101 A. Giselle Park Plaza, EDSA corner Rotonda, Pasay City). Their terminal in Baler is located in Barangay Sabang, Baler (contact number: +63 919 650 6997). Their first schedule is at 4:30 a.m. and their last trip is at 3 p.m., with an hourly interval. They also offer 2 trips from Casiguran, Aurora to Cubao. Their first trip is at 3:00 a.m. and their last trip is at 4:30 a.m.
For more information, visit Genesis Bus Line’s Website and Facebook Page. For JoyBus reservations, visit www.iwantseats.com.ph (with PhP 50 booking fee). Lizardo Trans offers daily, ordinary bus trips to Baler and vice versa. Their terminal is located in Slaughterhouse Compound, Magsaysay Avenue corner Balajadia Street, Baguio City. You can reach the terminal by riding a jeepney going to Trancoville, which is more accessible and round-the-clock. Tell the driver to drop you off the Slaughterhouse bus terminal. Lizardo Trans has three trips going to Baler. Their first trip is at 4:30 a.m., next schedule is 10:00 a.m. and the last trip would be at 2:00 p.m. Regular fare is at PhP 317, and Student fare is at PhP 265 (both inclusive of PhP 5 insurance, as of June 2015). Travel time is a very long trip of 8-9 hours. You can contact their office at +63 74 304 5994. In the same terminal in Slaughterhouse Compound, there are also PUVs (Public Utility Vans) which offer faster trips to Baler. Their first trip schedule is around 4:00 – 4:30 a.m. and travel time is only around 5-6 hours. There is only a slight difference in the fare, where they charge PhP 320 (for regular passengers) and PhP 256 for students, PWDs, and Senior Citizens with valid IDs. One of our contacts is kuya JR. You can contact him at +63 908 739 0821. When bound for Baguio, the last trip of Lizardo Trans at the Baler Central Terminal is at 5:00 – 5:30 p.m. and the ETA (expected time of arrival) is at around 1:00 a.m. the next day, approximately 8-9 hours. When optioning a PUV bound for Baguio, be sure to be as early as possible in the terminal because there may be a lot of tourists bound for Baguio as well, especially during summer. The last schedule of Baguio-bound vans is at around 2:00 – 3:00 p.m. Upon reaching Cabanatuan, Nueva Ecija from Manila, take a PUV bound for Baler. They are just lined up in the Central Terminal. Travel time is around 4-5 hours. The regular fare from Cubao to Cabanatuan is around PhP 185-200. The regular fare from Cabanatuan to Baler is around PhP 247-250 and the travel time is aroung 2-3 hours. When you are now bound for Manila and you have missed the last trip of the Genesis Bus Line (the main bus line with a direct route to and from Manila), you can ride the Aurora Bus Line or a PUV bound for Cabanatuan City, Nueva Ecija (air-conditioned bus / van). Upon reaching Cabanatuan Central Terminal, board a Five Star Bus, Baliwag Transit or a Victory Liner Bus (air-conditioned) bound for Manila (Cubao or Pasay) for around 4 hours travel time. You can also board a PUV bound for Manila whenever available, one of our contacts is kuya Mac at +63 919 862 9950. This option can also be done vice-versa. And upon arriving in the Baler Central Terminal, several tricycle drivers will welcome you and ask you will be going. Tricycle fares range from PhP 10 – PhP 20 per person, depending on the distance of your destination from the terminal. Ampiyas is for tourists / visitors who are looking for a more laid-back and simple house setup. It is somewhat that of a hostel as all things, amenities, and facilities in the house are communal – from the living room, bathrooms, kitchen sink, crockery, and porch. It is a nice play to stay away from the busy beach. The house is a 5-minute walk to Sabang Beach. The owner, ate Bok, knows some of the tricycle tour guides servicing in Baler and the nearby towns of San Luis and Maria Aurora. Just ask her for the contact number of the guide and off you’ll go! It’s also a good thing that the place is not well-known as only a manageable handful of guests (mostly backpackers) occupy their bed spaces. It’s the place to really relax and get away from the crowded Sabang Beach and enjoy the company of other guests. The Bayler View and Restaurant is one of the sought after budget hotels fronting Sabang Beach’s Baywalk. All of its 24 rooms are air-conditioned and are equipped with the necessary facilities and amenities every guest might need during their stay. They also offer surfing lessons, especially for first-timers. The hotel is Wi-Fi equipped. Their restaurant is also famous for their Choc-Nut Turon and sea foods, of course. Costa Pacifica Baler is one of the new and high-end accommodations servicing along Sabang Beach’s Baywalk. It has 106 well-appointed rooms and suites. Their facilities include an outdoor pool for adults and kids, a gift / souvenir shop, and a “kid’s nook.” “The Pavilion,” their main events hall, can accommodate up to 200 persons. They cater to both surfers, couples, families, large conventions and events, special interest groups, and Asian and European tourists looking for a new vacation getaway. For solo backpackers who want a simple and very affordable place to stay, Jam and Jen’s Lodge is the place. It is located near the Sabang Beach Baywalk and is located behind Costa Pacifica Hotel. The now 8-room property (+ 6 more rooms ongoing) is equipped with free Wi-Fi. They also have a mini store where you can buy some stuff to eat. They also lend surfboards and offer surfing lessons, and they offer affordable tour packages as well. This homestay is also a recommended option for budget travellers. They have some rooms that can accommodate at least five persons. You can also choose to have an air-conditioned or a fan room. The place is also located along Sabang Beach’s Baywalk and is beside Bayler Inn. The homestay is also Wi-Fi-equipped. You can also ask them if they know some tricycle tour guides in town. When in Baler, there is no payment for a specific Environmental Fee, but almost all of the tourist spots in the province have affordable entrance fees. From PhP 10 – PhP 300, these entrance fees are for the tourist spots’ maintenance and remuneration for its employees. TuristaBoy Tip: Travel light! Only bring what is essential (light clothes, toiletries, camera, and everything you seem important.) A backpack or one travel bag will do, as long as you can carry it comfortably. When you are more into surfing, there is a lot of surfing schools strung along Sabang Beach. Their common or average price for an hour of surfing lessons is around PhP 300 – PhP 350. Just approach any of them and they are ready to accommodate for the lesson. Some of the surfing schools’ stalls are located in the Baywalk. You can negotiate with the price of your surfing lesson with your surfing instructor or with the owner of the surfing school itself. Don’t worry, people in Baler are very nice and friendly. TuristaBoy Tip: When you want to surf on higher waves, the best months to go to Baler is from July to December (rainy season), though the waves are treacherous and rough at times. During Summer (or dry season), the waves are relatively small but still surfable. Here is my itinerary and actual, individual expenses when I went to Baler with my friends (although almost all of it was spontaneous). You can use this as a guide for your future visit. Options are via Baguio, Cabanatuan, and Manila. Besides, you’re the one who’s going to make that itinerary happen! Baler is a nice and quiet place; they are not just ready for the influx of tourists coming to their place. Some attractions get crowded during peak hours, thus spoiling its beauty. There is also some trash scattered in some places of Baler; trash bins are scarce. The food is diverse, you’ll never run out of choices; our accommodation is very simple and very rural, away from the town’s hustle-and-bustle. People are very hospitable, too. If you want to know more about Aurora Province, visit the official provincial website here. Something missing? Want me to add some things you wish to? Or you have an insight, suggestion, or a question? Want me to go to places and review them for your future visit? Drop a comment below!